Thailand is an incredibly interesting country in terms of water management. Dry and wet seasons alternate each other causing massive changes in water availability, sometimes even resulting in droughts and floods. In addition, the Chao Phraya River basin also includes vast areas of irrigated rice and the Thai capital Bangkok. Therefore, I was really excited that GIZ gave me the opportunity to conduct my thesis in this region. This research was done to complete my master study of International Land and Water Management at Wageningen University, The Netherlands. Figure 3, The water intake of the main canal along which interviews were conducted in the Thabot irrigation project. Located in irrigation office 12. 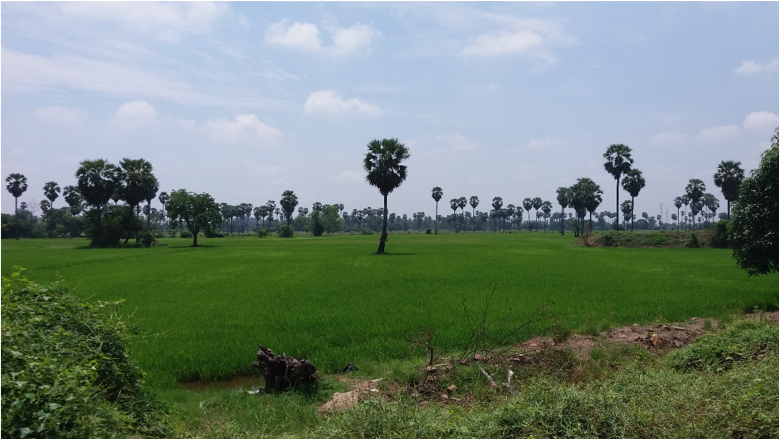 The thesis was conducted in the context of the Thai Rice NAMA project which aims to transform rice cultivation in Thailand towards a low carbon farming system. To do this, the project aims to implement four agricultural practices, including Alternate Wetting and Drying (AWD). The AWD is an alternative rice irrigation method reducing Greenhouse Gas (GHG) emissions and is often claimed to save water. I researched the potential impact of AWD in terms of water management on the Chao Phraya River basin. Through model calculations, I estimated how water flows would change at different spatial scales assuming the AWD is implemented as planned in the project. 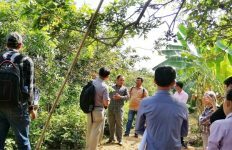 I also got the opportunity to actually go into the field and learn from rice farmers themselves about their farming practices and the main challenges they face in Chainat province. Figure 2, impression of the rice fields located in Chainat. 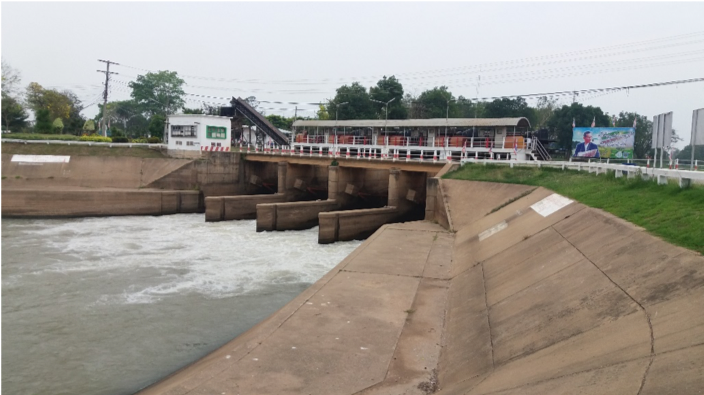 While learning about water management in Thailand, I was amazed to see how the Royal Irrigation Department managed to reduce floods and enable rice cultivation in dry season through many dams and canals constructed and operated in the basin. From the research, it became clear that although the AWD might increase efficiency of water use at field scale, its actual water savings are quite small. Groundwater recharge is mainly reduced under the AWD, which is an essential source of water for more downstream water users and uses. AWD, therefore, seems to mainly result in a redistribution of water instead of saving. If the redistributed water is not managed properly, it can ultimately result in lower water use efficiencies at basin scale. Therefore, proper management of the redistributed water is essential for the AWD implementation. Farmers that already implemented AWD reflected very positively on the measure due to their reduced production costs since they were able to use less water and thus reduce water pumping. 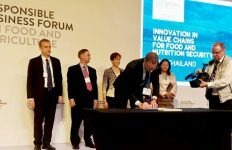 I am really happy I got this opportunity and was able to contribute to the Thai Rice NAMA project to limit the potential negative impacts of AWD implementation. 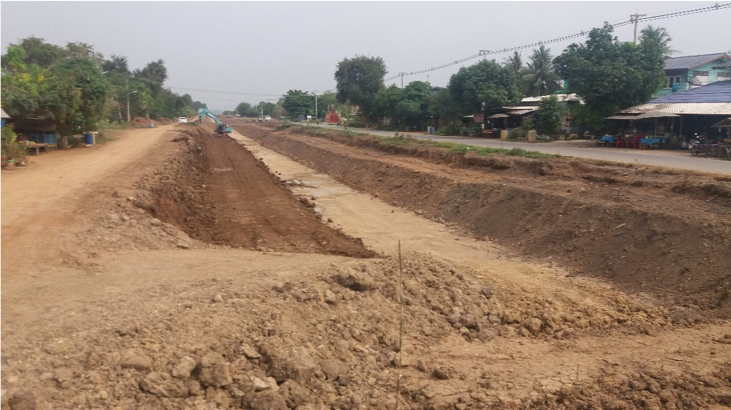 Figure 1, an irrigation canal under construction and being provided with a concrete lining in the Thabot irrigation system. For my future, I hope I can continue to contribute positively to projects like Thai Rice NAMA to enhance rural livelihoods all over the world.